Renaud Chiropractic Now Hiring Now accepting resumes from interested candidates for sales and marketing position. Must have sales and marketing experience. 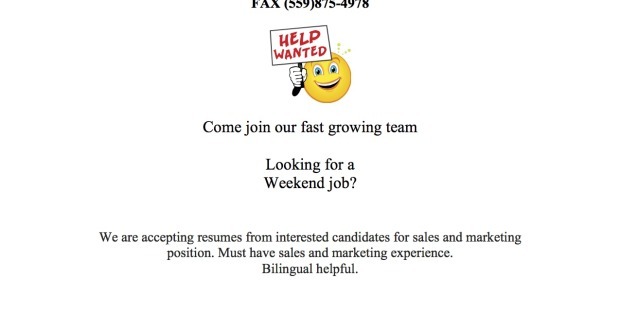 Bilingual Helpful….